The hyperlocal nature of real estate gives a viable chance to the smallest of businesses – provided you properly optimize your site for local search. Here are 10 SEO tips that will improve your real estate website and help it dominate in local search. Running an SEO audit is usually the smartest place to start. In fact, an audit is a necessity if you want to optimize your real estate site for local search. If your site fails to rank locally, drive any organic traffic, generate leads, or convert clients, you need to find out why. Site structure: XML sitemap, robots.txt, redirects. Content: Keyword and link placement, structure, visual elements, duplicates, proper redirects and canonical tags. Bring these five up to snuff and you’ll see a considerable increase in traffic and clients. An optimized site will rank nicely, including for local searches. Once you’ve pinpointed all the problem areas of your website, invest an adequate amount of hours into fixing them. If you’re an SEO specialist, then you’re already doing these things every day. If you’re a real estate agent and don’t know much about SEO, hire a professional. At the bare minimum, hire an SEO professional to help you with tips 1, 2, 3 and 9. Once you’ve covered all the SEO essentials turn your focus to optimizing your real estate webite for mobile. Why is mobile optimization necessary? 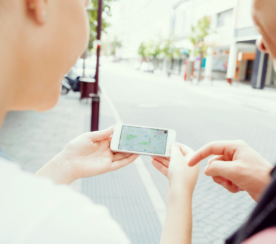 Consider that over 48 percent of all real estate searches are now initiated on mobile. Make sure potential clients can access and use your site conveniently on any mobile device. All of these are pretty important to your rankings and conversions. Visitors expect your site to load in less than two seconds and will immediately leave unless you provide impeccable user experience. Bonus tip: Use this emulator to check how your site is displayed on different devices. A bit of testing never hurts. Obviously, users pay more attention to search results that feature snapshots, ratings, reviews, and Google Maps directions. Check all required information twice before creating your Google My Business account. These are your physical address, website, telephone numbers, email, etc. Once you claim your business, it will be very hard to change any information on the account. Make sure that your physical address is correct. Google will mail your authorization code to that address. If you don’t have a rented office, use your home address. Customize your Google My Business page. Specify your business hours and contact information. Add visually appealing photos and a direct link to your homepage. Finally, write an informative, useful and catchy description of your business. 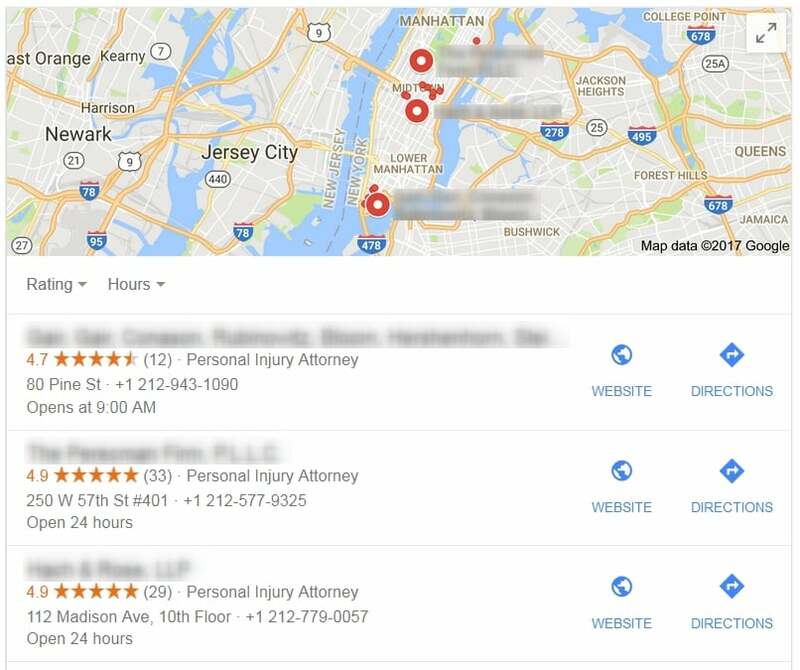 Getting your business listed in Google is absolutely worth it. Once you claim your company, Google will display your site in localized search results, giving you a chance to rank higher than sites like Trulia and Zillow. Physical proximity becomes your best competitive advantage. Make a list of directories and listings in which you would like to register your site. Now that you have covered all the coveted spots, research new opportunities. Directories and listings are not that popular nowadays, and yet new players appear once in awhile. Place logos of registered directories and listings on your site. Show your website visitors that you are a trusted and respected business. Clients do a substantial amount of search and research directly at these directories and listings. Thus, you kill two birds with one stone: improve your organic SEO stats and create additional sales channels to drive more conversions. Also see: 22 Niche Review Sites Your Business Can’t Afford to Ignore. You need a blog. Properly optimized content that speaks to the needs of your targeted audience is your path to dominate local search results. Informative articles. These are blog posts about your neighborhood: schools, crime, walkability, median income, prices, social life, entertainment, restaurants, etc. Provide unique perspectives and describe actual pros and cons of the neighborhood. Interviews with local business owners. These can take a pretty large chunk of your time, but it will be time well spent. They will display the soul of your neighborhood and demonstrate to prospective home buyers how nice your area is. On top of that, business owners will share these interviews on their social pages and websites, building awareness and increasing reach for your business. Visual content. These are your images (ordinary and 360-degree immersive panoramic photos), infographics, video tours, live-stream videos, virtual tours, etc. 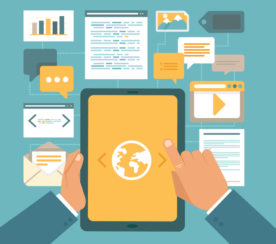 Optimize your content for search engines before posting and sharing. Include “geo” keywords into titles, subtitles, meta descriptions, ALT text, URLs, hashtags, etc. Your videos should be optimized for local search: include geotargeted keywords into headlines, descriptions, and hashtags. Consider adding subtitles and placing the entire subscript in the description section for better crawlability and indexability. Also, adding links to your website, social pages, related listings and content in the description is a must. 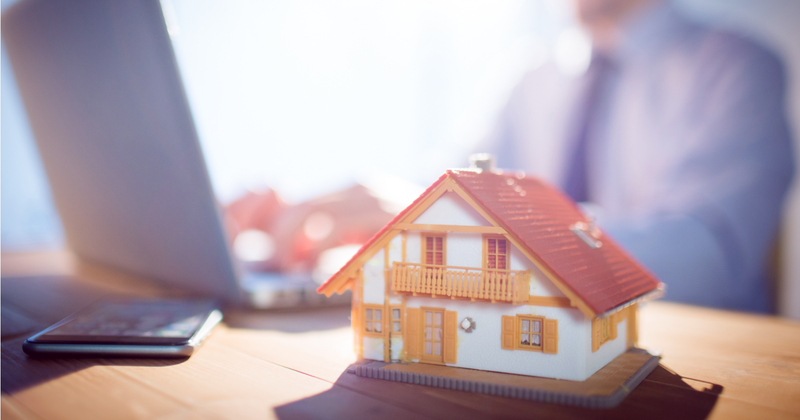 As a real estate business, it’s tough to gain visibility online unless you have social media accounts (including Facebook, Twitter, Instagram, and Pinterest). Use social networks to post and share your blog content, videos, and other important things (stats, news, etc.). You can use the power of social networks like Instagram and Pinterest to promote your site with visual content. Let users have a peek at the best home sale opportunities on Facebook. Create boards on Pinterest to simplify pinning. Share stories on Instagram. Make sure to dd local-focused hashtags and descriptions that feature geotargeted keywords. The choice of specific schema for your site depends pretty much on its structure. If you don’t know which one to choose, or how to get started implement structured data markup, consult with an SEO professional. When everything is done, check your schema with a Google’s Structured Data Testing tool. Featured snippets give your site a chance to get to the #0 spot with almost zero effort (provided your page is ranking in the top 10 already). Display your offer directly in search. Attract users who are interested in your offer. Run a keyword analysis to sift out relevant, geo-focused long-tail keywords and phrases. Place these selected keywords in content that matters to users, aka in-depth, high-quality content. Structure and markup your content properly. 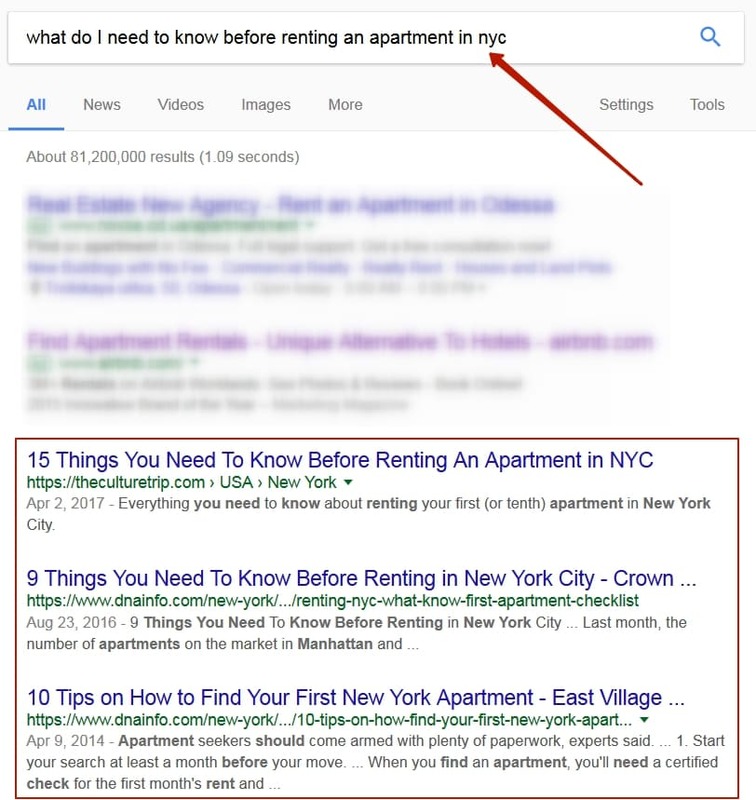 Use question-focused heads and subheads, shorter paragraphs that could fit into a featured snippet section, H1-H2 tags, tables, lists, charts, images, etc. Create a Q&A section on your site. 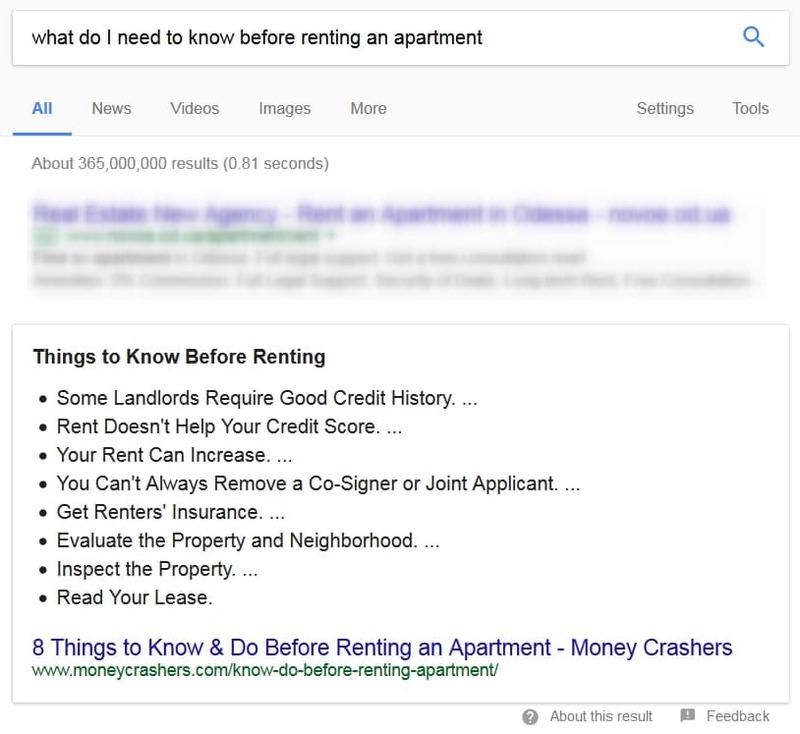 Specific answers are more likely to be displayed as featured snippets, especially if they include images and lists. 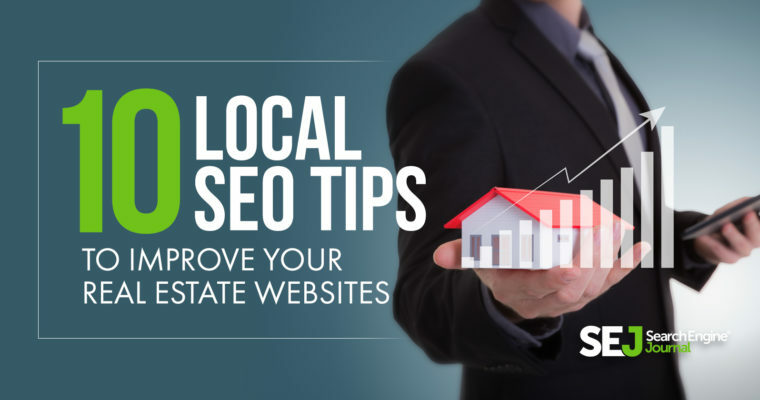 Implement these real estate SEO tips will help you build a strong foundation that will help you dominate in local search. Getting a juicy slice of the real estate pie is challenging, but don’t be discouraged. The niche is abundant with opportunity for small companies and individual real estate agents. 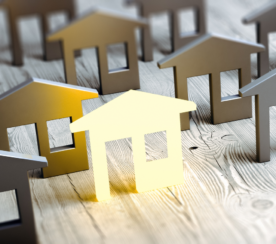 If you do your homework and optimize your site for local search properly, it will rank nicely – even against the strongest listing sites like Zillow, Trulia, and Yahoo Homes. Some of the strategies require a substantial knowledge of SEO. Make sure you consult or hire a professional before taking your first step. It’s easier to avoid mistakes than fix them.